A classic look with modern comfort, the sherpa-lined Barlow steps up the classic workwear jacket. 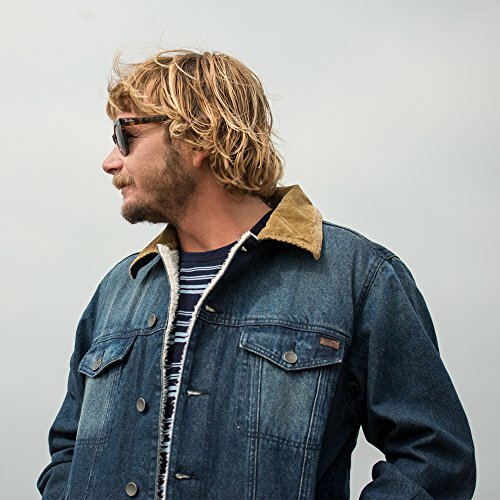 Available with a denim or corduroy exterior, the classic trucker jacket is lined with super soft and warm sherpa.Bark: corduroy trucker jacket.Indigo: denim trucker jacket.Surfplus Collection.Sherpa lining and collar.Chest pockets with button closure.Welt hand pockets.Internal pocket.Button up front. Surfplus label at chest pocket. Material: cotton denim or corduroy and sherpa lining.Billabong Surfplus CollectionTimeless essentials by Billabong built with a philosophy around premium design and unique discovery. Each fabric, stitch, and detail has been crafted with a focus on durability while maintaining broken-in comfort and quality.